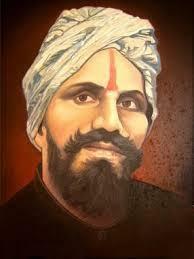 Activist, journalist and poet Subramania Bharati was born in Ettayapuram, India, in 1882. 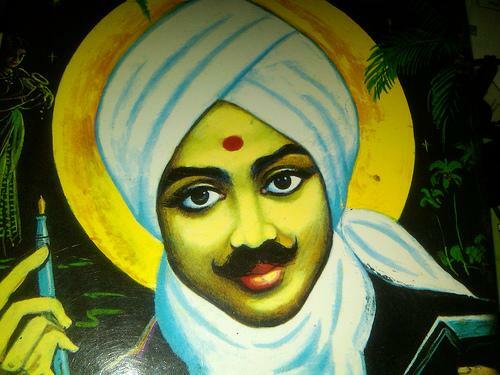 Brought up in the Tamil religion, he was one of their literary leading lights and his verses were characterized by their potent nationalism and patriotic fervour. Educated at the local Hindu college he was a precocious student who turned to poetry when he was just eleven years old. 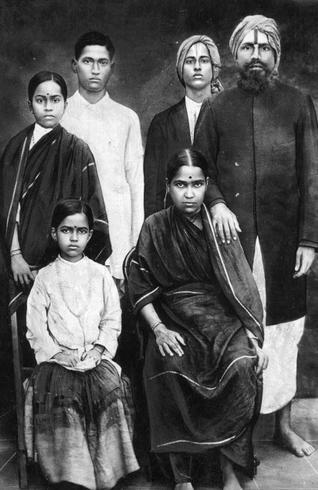 By the time he was sixteen, Bharati had lost his mother and father and was married (at the age of 14) to Chellama who was seven at the time. His father had encouraged him to learn a language, particularly English, but he managed to become proficient in no less than 28 Indian dialects and 3 languages in his lifetime. 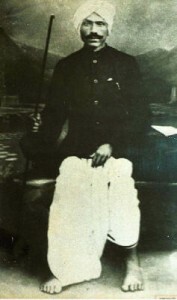 Although he originally began to work in the civil service, he eschewed this to become the court poet for the Raja of Ettayapuram in 1901 when he was nineteen years old. Also at this time he developed an interest in world affairs and found an vocation in journalism, becoming an assistant editor for a local Tamil newspaper a couple of years later. His creative endeavors began to reach a nadir when he moved onto edit another Tamil newspaper, India, where he was able to publish his own poems on a regular basis. He also became a supporter of the militant arm of the Indian National Congress, which favored armed resistance to British rule at the time. When the owner of the newspaper India was arrested, Bharati was forced into a self-imposed exile in a French ruled province of the country. From there he continued to write although the British colonials tried to stop publication and distribution of his work. At this time, he became interested in Vedic literature and wrote some of his most famous works including Kuyil Pattu and Kannan Pattu. 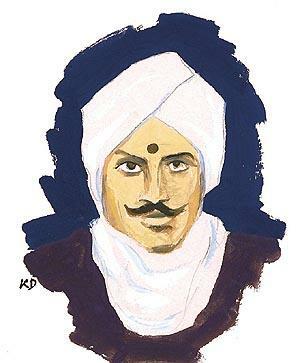 When Bharati returned to British controlled India in 1918 he was immediately arrested and it was only after the intervention of some of his friends and admirers that he was actually released. The experience left its mark on him, however, and he also suffered a period of poverty that seriously affected his health. 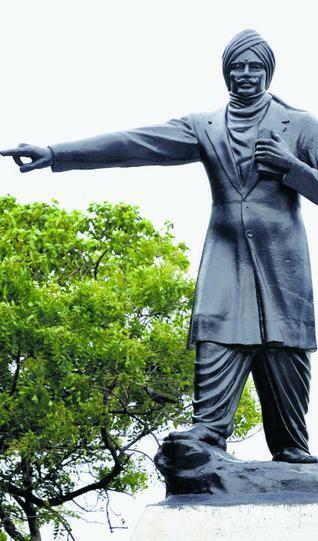 During this period he also met with Mohandas Ghandi. 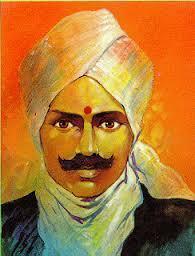 Bharati was an idealist at heart and his poems often expressed his desire for progression and reform. 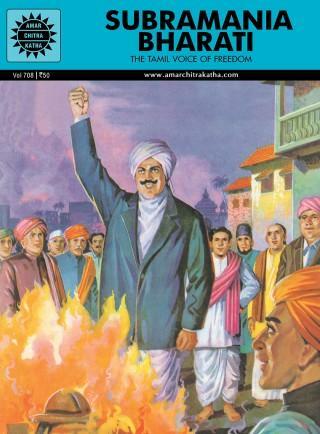 Besides his objections to British rule, he was a supporter of feminist rights and thought the caste system should be consigned to the history books. 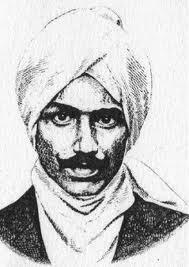 He wrote thousands of verses throughout his lifetime on subjects as diverse as nationalism, the Tamil way of life, religion, children’s poems, and elegies to freedom fighters. 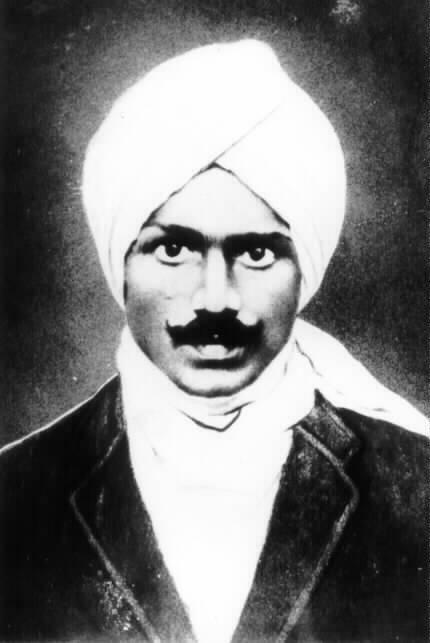 Although a British amnesty was ordered on his movements in 1920, Bharati was largely struggling with ill health and lack of money. He was hit by an elephant and suffered quite severe injuries. Although he survived, his health suddenly worsened a couple of months later and, in 1921, he died, aged just 38. Whilst he was for a long while known as the people’s poet, his breadth of work belies a multi-layered and highly competent poet. Despite his popularity there were only 14 people at his funeral.